Agincourt was barely twenty years old when the nation celebrated its centennial. Visitors to the 1876 World’s Fair at Philadelphia came by tens of thousands, but I wonder how many made the trek from Iowa. First, they would have taken the CMStP&P to Herndon and then transferred to the mainline running between Omaha and Chicago. At Chicago, several options were available—the NY Central to New York City and then south to Philly; Or a more complex path angled diagonally across Indiana and Ohio leading the exhausted traveler, eventually, to Philadelphia. One was faster, the other more direct (i.e., fewer miles). All of this would have taken at least two or three days each way, and one might legitimately elect to rest for a day in Chicago. Among the many sights, sounds and tastes of the fair, Iowans would surely have beat a path to their own state exhibit. Indeed, it was probably this display of Iowa’s agriculture and, perhaps, the beginning of its industry that was the reason for Iowans to visit the fair: bald-faced 19th century boosterism. It would have been logical for the mayor to attend and just as likely for the president of the Chamber of Commerce—and their spouses, of course. Expenses for the trip would have been at least partially underwritten by both the council and the chamber. What might they have brought back to the Heartland? Well, for one thing—one very, very small thing—they might have visited the display of Friedrich Fröbel, inventor of kindergarten. Spellcheck likes that word, which is wholly German, since it became thoroughly Americanized in the following hundred-plus years. Anna Lloyd Wright, mother of Frank, saw Fröbel’s display and took it back to Madison, Wisconsin, where she operated a kindergarten based on its principles—an experience, not incidentally, which her son attested as instrumental in making his architectural point-of-view. 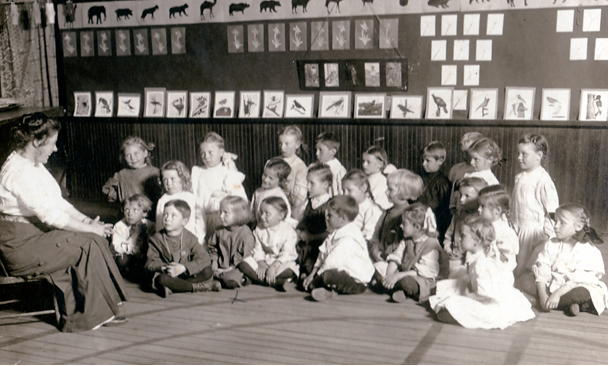 When and where was Iowa’s first Fröbel-inspired pre-school childhood educational experience, do you suppose? Agincourt’s as good place as any. The first kindergarten began innocently enough in the home of an Agincourt mother (identity to be settled later) and grew to warrant its own building. Shall we say five or six years? Which means that by 1882 or 1883 a building had been designed to house Agincourt’s kindergarten. Not incidentally, Anson Tennant would have attended at about age four or five, in the mid-90s, and been inculcated with the same sense of underlying geometries that Wright encountered a couple decades earlier. Lately I’ve had my head in music. Losing myself in music seems to help find a way through the world. Music plays a large role in my life; I hope it does in yours as well. 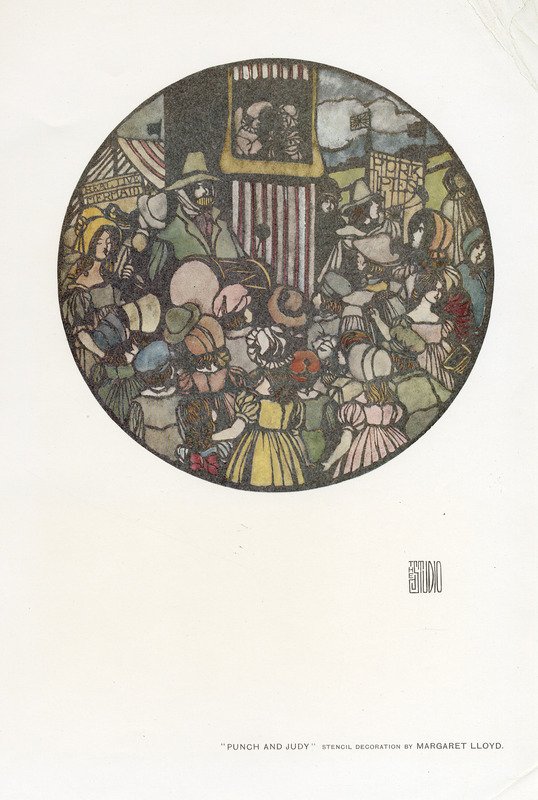 There are a handful of pierces that I link with important events: “Brigg Fair” for example, by Frederick Delius, helped me get through the death of my grandmother in 1980. I can’t hear it even today without welling up and blubbering. Recently I’ve become captivated by Michael Torke’s newest recording “Miami Grands” and the potential one of the tracks has for an event I’ll be part of next August. Music has been important for Agincourt, too. The community’s 50th anniversary yielded a commissioned work from John Philip Sousa, his “March to Agincourt” which should be better known than it is. For the centennial, the city reached even farther afield, asking Sir William Walton to weave several of his recent pieces for film—especially “Henry V” starring Sir Lawrence Olivier—into the “Agincourt Suite” for band. Then, of course, there is “Agincourt Fanfare” written for the 150th in 2007, a new work by out friend Daron Hagen. He’s written a new work—”We happy few” for tenor and piano—that will be premiered at the exhibit of 2015, commemorating the 600th anniversary of the actual Battle of Agincourt. Musical themes run so richly through the history of Agincourt that there must have been an institution for its teaching, promotion, and performance; something akin to a Conservatory. Fargo had one. So, when I saw the Jan Hatvani portrait, I knew its subject must have had something to do with making music and then making it important to Agincourt. Hatvani is real, by the way, but his subject Per-Edvard-Anders Lund [1900-1977] is fiction. But in him I see the fulcrum of a long, rich musical thread to link all these and other events in some way. That conservatory, not incidentally, will require a home, and that’s all the impetus I need. Born in Budapest, Hungary in 1903. Studied at the Academy around 1930 and traveled in several European countries. He later settled in Scandinavia where he lived in Sweden. He is best known for his series of portraits and cityscapes. He also drew caricatures at Liseberg amusement park and Tivoli in Copenhagen. A handful of on-line images and a few words in English unfairly and inadequately summarize the career of itinerant European artist Jan Hatvani. Apparently few of his works crossed the Atlantic and found their way into North American collections. We are the grateful exception. 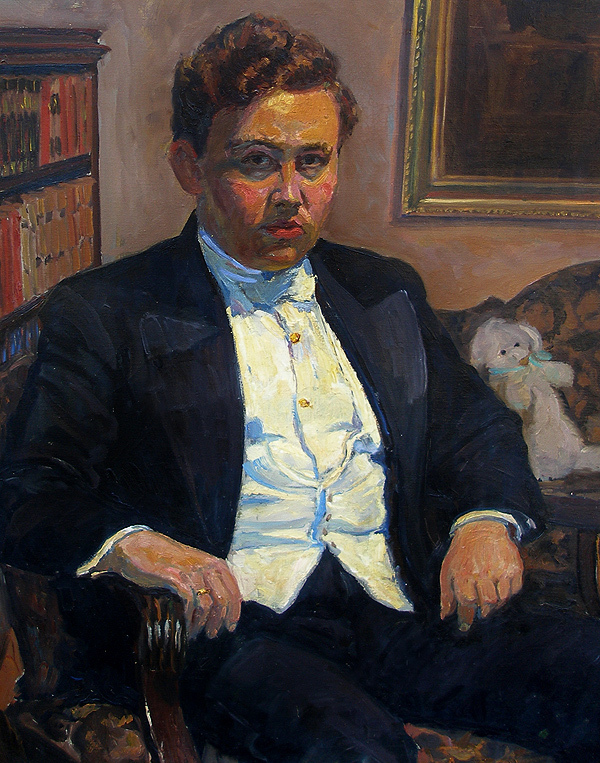 This large oil-on-canvas portrait shows Swedish concert pianist Per-Edvard-Anders Lund [1900–1977] moments after what may have been his last performance at Stockholm’s Konserthuset. 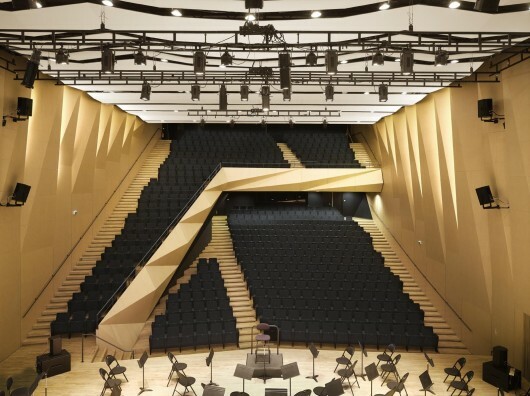 Ivar Tengbom’s blue-glazed Neo-Classical home of the Stockholm Philharmonic was then fewer than ten years old. Lund is relaxing—coming down—from a performance of the Prokofiev Piano Concerto #3, his farewell before departure for America and a new life in teaching. Lund’s portrait is co-owned by the Friends of Music and Northwest Iowa College, where it hangs in their music department. It is on loan to the Community Collection for this exhibit. If you’re wondering, the Teddy Bear accompanied Lund to each appearance for luck. It’s obvious now that some of my reading habits during the last fifteen or twenty years have had a great influence on the character of this project—very likely on my own character, as well. 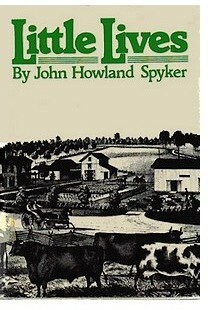 A book that I acquired in the mid-80s is among them, Little Lives (which I continually recall as Minor Lives) by the pseudonymous author John Howland Spyker, who was really Richard Elman. In the tradition of classics such as Spoon River Anthology and Winesburg, Ohio, but sadly neglected today, I return to Spyker again and again. And on those all-too-frequent occasions when I’m unable to lay my hands on it, the sub-ether has made all too easy the ability to find a quick replacement copy; there may be four of them lying around the house right now. 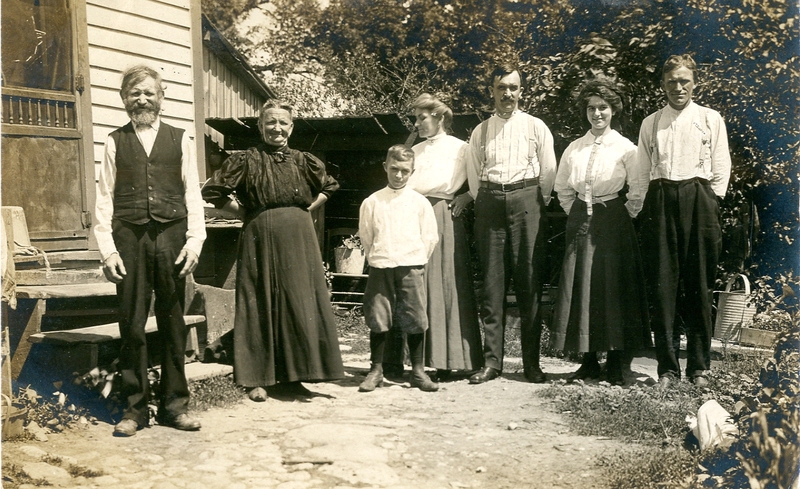 I blogged years ago about the virtues of Spyker’s local-history-as-biographical-anthology style and today I find myself back at the trough, wondering about the three generations of family in this wonderful postcard image. Not in the “dime a dozen” category, still these unidentified family cards don’t sell well, unless there’s something special about them: obvious ethnicity or race; occupation or activity. Clowns are big right now, just not with me. As someone from a very, very small family—technically, I’m IT right now—one wonders how such evocative images get away from the homes of other family members. I’d be disinclined to let my own ancestors slip from my grasp. Somehow, I feel a story coming on. Synesthesia is an idea beyond my grasp. Somehow, the synesthesic’s sensory wiring is crossed in a way that allows shapes to have taste; or for them to hear colors or feel flavors. Is it even possible to smell a shape? Imagine serving dinner to a guest, only to have them explain that the carrots are too square, then ask for a combination of spices and condiments to adjust the flavor until they’re sufficiently round. An early work of American composer Michael Torke, “Color Music,” comes from his own synesthesia. Explaining this to someone with standard wiring—someone like myself—is akin to explaining ambidexterity to a double amputee. The degree and extent of my desire to “put this on” for a day can never be quenched. But sound as a single sense, sound on its own, has the power to transport. Especially music. Just now I’m immersed in two pieces—one of them relatively old (from the soundtrack of a 1965 film); the other very new—each of which has had enormous effect on my emotional state. [And I should confirm right now that the effect has been positive, lest you call the paramedics.] The film score was written for “Bunny Lake Is Missing,” from director Otto Preminger. Anyone under thirty won’t recognize the actors’ names: Keir Dullea, Carol Lynley, Laurence Olivier, and even a cameo by Noël Coward. The plot’s been treated since but not as well—and in black-and-white, no less. And the opening theme by composer Paul Glass haunts me yet, from the evening I saw the film at Norman, Oklahoma’s Sooner Theatre. I was a sophomore and impressionable. [Glass’s theme plays to my wistful side and that’s always dangerous. I’m already thinking of ways to adapt it for an upcoming event.] But Friday’s mail brought a new CD and, with it, a new pleasure, one that triggers a feeling I don’t often recollect: outright, downright, unmitigated, unadulterated joy. Imagine twenty-four hours in Miami, from dawn to early the next morning under the stars. Imagine twelve musical moments during that day. 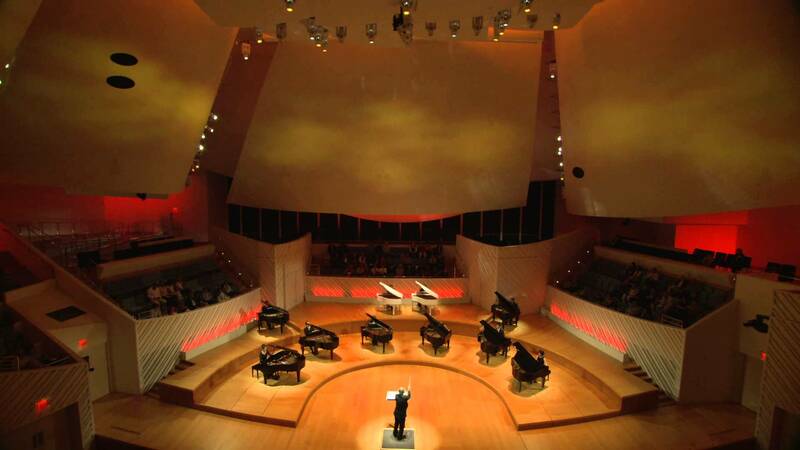 Now, imagine ten grand pianos playing Michael Torke’s “Miami Grands,” for whom it was written. Now, play Track #8. If your heart does not swell with life and your chest nearly burst with good will for your fellow creatures, then you have the heart of a Wall Street hedge fund broker and fully deserve the hell that must be your every waking moment. In due course, I will link this piece with the moments that have surrounded its discovery. If you ever hear Track #8—and I hope you do—it may accomplish for you what it has for me this week of downcast spirit and bureaucratic malaise. But I offer it anyway this afternoon, like balm in Gilead to heal the sin-sick soul. Among the most recent additions to the Community Collection, “Centurian” is a new work by contemporary British artist Thomas O’Donnell. 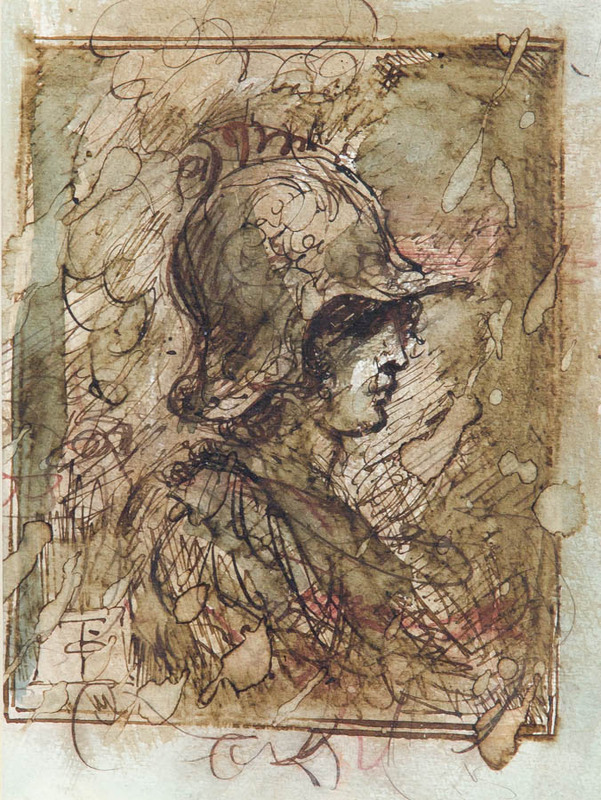 His deft delineation of a classically-inspired figure, with dramatic light and shadow, put O’Donnell on the path of Renaissance traditionalists. 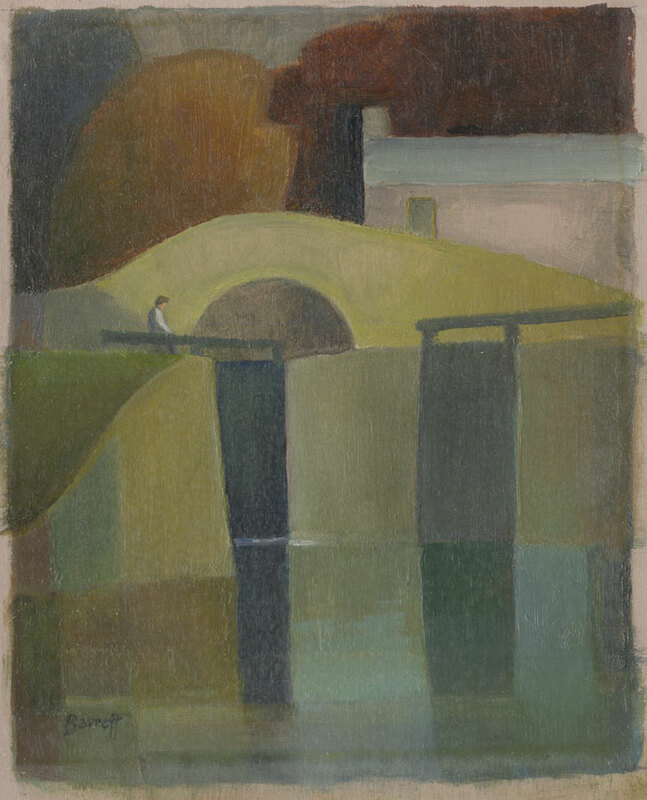 Barrett’s work is represented in the Victoria Gallery, Bath, by a single piece: a similar abstraction of England’s 19th century canals and locks, titled “Canal at Widcombe, Bath, Autumn.” But other than his birth date in the county of Somerset, there is little available biographical information. Like its sibling at Bath’s Royal Victoria Gallery, the subject here seems also to be Britain’s picturesque 18th and 19th century waterways, the infrastructure that gave birth to the industrial revolution. Those same technologies were common to early industrialization in the U.S.—even here in Agincourt, where the mill pond behind the Muskrat dam produced limited and, unfortunately, unpredictable amounts of water power for the Syndicate Mill—but steam railways quickly replaced them as the motive power of Capitalism. The idea of canals moved westward across the Appalachians with migration and remnants of those transplanted systems can still be seen in Illinois. Iowa had only a few, however, and those were outdated even before their completion. A source for the Barrett painting is not known at present.